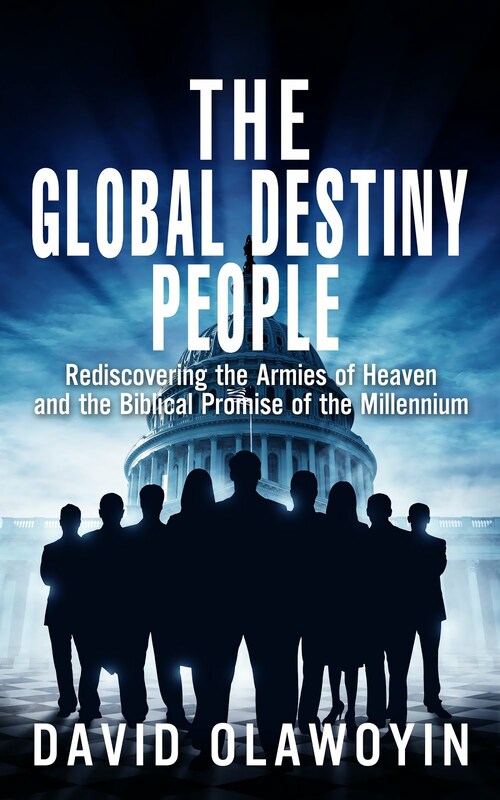 In Kings and Priests, we saw how the apostle John was caught up to Heaven to see a symbolic representation of the composition and organisational structure of the Armies of Heaven – comprising Christ and His redeemed saints – that will invade planet Earth to establish and reign over the promised kingdom. The scene that he saw comprised One sitting on a central throne, twenty-four Elders upon lesser thrones, and four Beasts, likened to a lion, an ox, a man and an eagle (see Revelation 4:1-5:10). As I bore out in my Horsepower series of articles, the heavenly scene is not only a depiction of the government of the literal kingdom of Heaven, but is also a pattern of the government of the earthly kingdom that “the God of Heaven” shall set up (see Daniel 2:44) through the instrumentality of the Anointed One and His redeemed saints. The One seated on the central throne (God Almighty) is representative of Christ the Commander-in-Chief of the Armies of Heaven. The twenty-four Elders are symbolic of the first office holders under Christ in the kingdom; that is, the commanders of the different divisions of the Armies of Heaven. And the four Beasts are a depiction of the four primary divisions of the Armies of Heaven populated by the redeemed saints. As I made evident in Kings and Priests, the term “armies” used to depict the heavenly band of Christ and His saints is largely figurative. While there will be some literal combat at the time of their invasion to take over the global kingdom, it is their efficient organisation, specialised operations and distinguished competence that speak in the long run! As I bore out in that article , the Elders and four Beasts are also a depiction of the five major areas of human endeavour, which correspond to the five major areas in which the saints will exercise dominion and do great exploits in the kingdom. Now, you would agree that when we consider the complexities of governance and the diversity of institutions, establishments and activities needed to advance a full-fledged global society, the four primary divisions of the Armies of Heaven depicted in the four Beasts could do with finer demarcation. The more detailed divisions of the heavenly formations that I foresee are twelve in number and based on a twofold ordered blending, or combination, of the powers of the four Beasts. I will use an interesting witness to illustrate this thought before substantiating it with the scriptures. You might have heard about the “Four Temperaments.” According to one school of psychologists, men are moulded from four basic temperament types, namely sanguine, choleric, melancholy and phlegmatic. One of the most prominent proponents of this idea is the popular Bible teacher, Tim LaHaye. Some have alleged that his teaching on this subject lacks biblical basis, but as I bear out in my coming book THE COMING GLORY (which includes excerpts from LaHaye’s book WHY YOU ACT THE WAY YOU DO), this is not exactly so. Truth is, the so-called four temperaments are actually a reflection of the powers of the four Beasts of the Revelation! Now, as LaHaye notes, people are seldom purely sanguine, choleric, melancholy or phlegmatic, but more ideally a blend of two, with one more dominant. Each person therefore has a primary and a secondary temperament, the exact proportions of which determine his unique and detailed attributes. Thus, such phrases as SanMel, SanChlor and SanPhleg have been coined for people predominantly sanguine but with some appreciable features of the choleric, melancholy and phlegmatic, respectively. Similarly, ChlorSan, ChlorMel and ChlorPhleg; MelSan, MelChlor and MelPhleg; PhlegSan, PhlegChlor and PhlegMel have been used to describe those in whom the other temperaments are respectively dominant. In this context we have twelve temperament types – three varieties for each of the primary four. It is a similar blending of the powers of the four Beasts that forms the basis of the twelve more detailed divisions of the Armies of Heaven that I foresee in the kingdom. And this is not just about borrowing the elements of one theory and applying it to another, but my coming book substantiates this thought with scriptural witnesses. One of these witnesses is the apostle John’s vision of the New Jerusalem City coming down from Heaven (Revelation 21). As I noted in my article In My Father’s House, the city is actually another symbolic depiction of the Armies of Heaven. Notice that the Angel said to John, “Come hither, I will shew thee the bride, the Lamb's wife [that is, the redeemed saints]” (Revelation 21:9). And he went on to show him the New Jerusalem City. According to John’s report, “the city lieth foursquare” (Revelation 21:16), “and had a wall great and high, and had twelve gates, and at the gates twelve angels, and names written thereon, which are the names of the twelve tribes of the children of Israel. On the east three gates; on the north three gates; on the south three gates; on the west three gates” (Revelation 21:12,13). Did you see it? In each of the four walls enclosing the city are three gates. These four fortifying walls of the city correspond to the powers of the four Beasts that will guard and uphold the throne of the millennial reign of Christ and His saints. The three gates in each of the four walls are illustrative of the three varieties of power blends for each of the four primary powers. Every member of “the bride, the Lamb’s Wife” that the city symbolises will have to enter through one of those twelve gates. 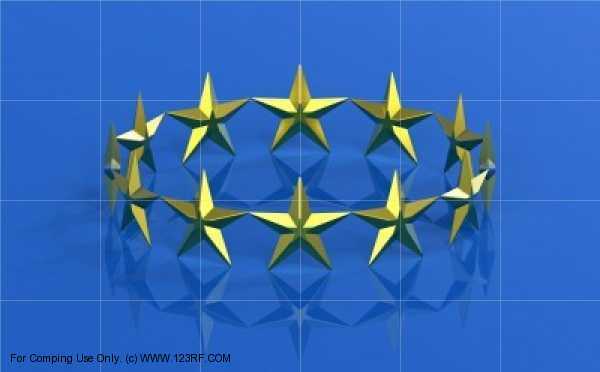 They are symbolic of the twelve more detailed divisions of the Armies of Heaven! Notice also that it is the names of the twelve tribes of the children of Israel that are written on the twelve gates. As I further bear out in my coming book, the functions of these twelve divisions of the Armies of Heaven can actually be discerned from the blessings that Moses pronounced on the twelve tribes just before they possessed the Promised Land of Canaan, a type of the promised kingdom. It is also worthy of note that the patriarchs of the original twelve tribes were conceived by four women! These envisioned twelve divisions of the Armies of Heaven in the kingdom can be likened to the departments or ministries of our modern day governments. They are the more detailed divisions of the heavenly formations commanded by the Elders among the redeemed, and will be used to oversee the affairs of the global kingdom. And as I also bear out in my coming book, the twelve divisions will not only be present in the global government of the kingdom headquartered at Jerusalem, but each of the envisaged 6,000 language nations, or provinces, of the kingdom would be similarly administered with the aid of twelve departments. Indeed I go on to propose that the twenty-four Elders that John saw in the heavenly scene are symbolic of groups of twenty-four distinguished saints who would be paired to oversee each of these bureaucratic departments, much like the “Secretary” and “Under Secretary (or “Minster” and “Deputy Minister”) of the departments of our present day governments. You could thus think of those twenty-four Elders as a depiction of the Executive Cabinet of the global and provincial governments of the kingdom! When you think of the sub-departments, directorates and other subsidiary units, institutions and organisations (with increasingly specialised functions) that would necessarily exist under these departments of the royal government of the kingdom, you would better appreciate why the redeemed saints would have to be ranked to execute their millennial mandate. And as I explained in Differing Glories, the rank that each of us will hold and the office we will occupy in this glorious time ahead of us will depend on our performance with what we have been entrusted with today. So keep the faith and remain posted.